After an 18-month long intensive vaccination campaign in the face of a poliovirus outbreak in Syria, the outbreak has been successfully stopped. 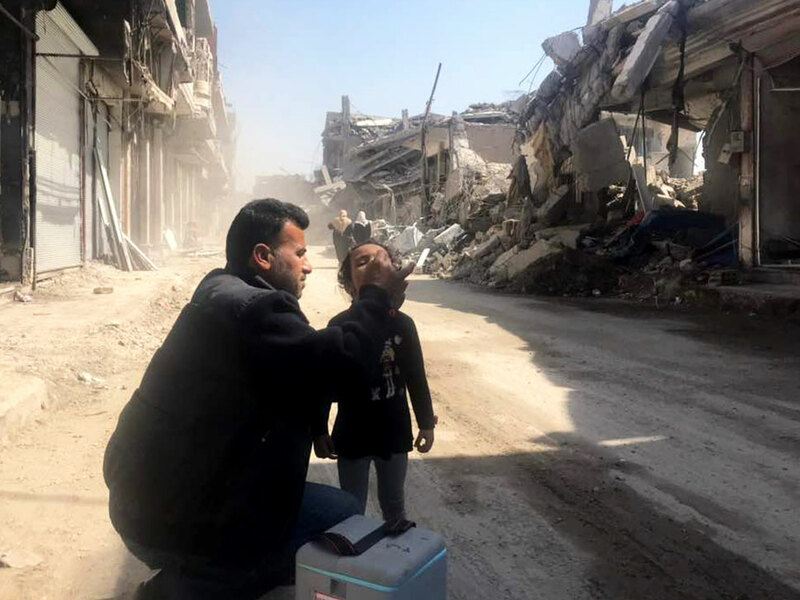 A health worker vaccinating a child in Raqqa, Syria. In June 2017, some of the first circulating vaccine-derived poliovirus type 2 (VDPV2) cases were reported in Deir Ez-Zor governorate, in eastern Syria, confirming an outbreak of polio. Since then, 74 cases were reported, with the most recent case reported on 21 September 2017. Despite being a high-risk country with large scale population movements, inadequate health infrastructure, and accessibility issues, the outbreak response was successfully carried out. Health workers reached out to children to raise immunity levels, vaccinate children, and stop the outbreak, regardless of the location or socio-political climate. An official outbreak response assessment was carried out by experts on global health, virology, and epidemiology, which concluded that the outbreak could now be closed. “(Disease) Surveillance is stronger today than it was 18 months ago, when the initial cases were detected…so, as we celebrate what is a remarkable achievement in stopping this outbreak, amid very challenging circumstances, we must not lose sight of the risks posed by continued circulation of virus in other parts of our Region,” said Chris Maher, Manager for Polio Eradication in the WHO Eastern Mediterranean Region.